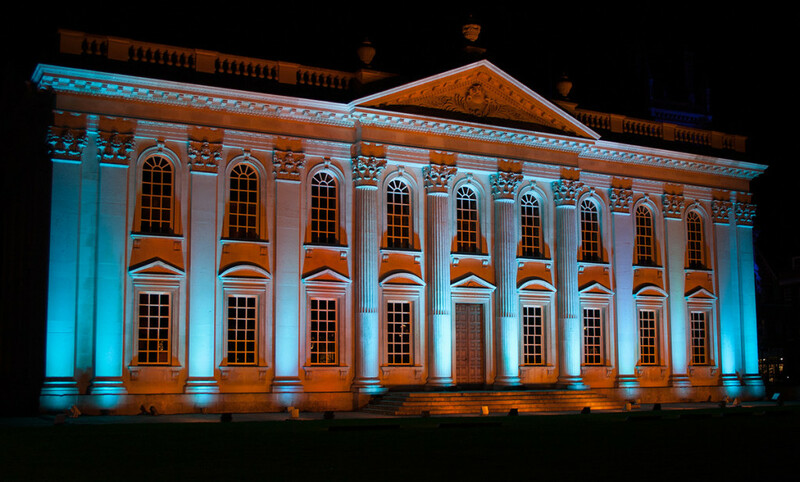 For the fourth year running Pulsar Light is proud to be a part of e-Luminate Festival Cambridge 2016. 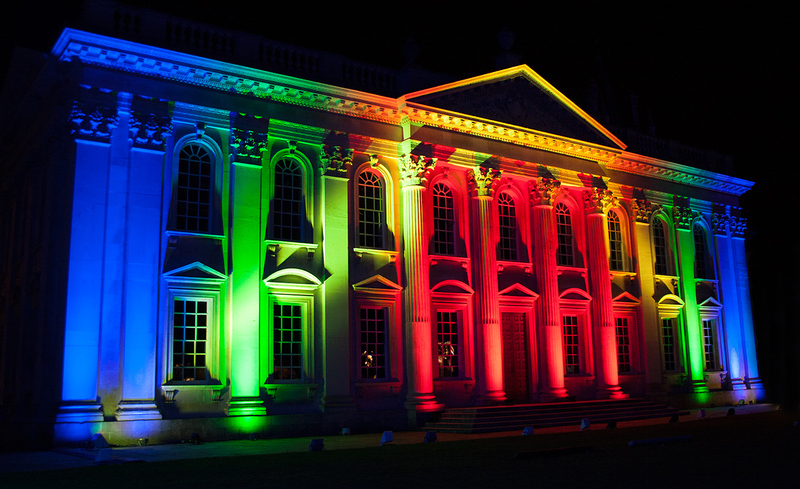 Last year’s event saw Pulsar illuminating the Fitzwilliam Museum with great effect. This year, Pulsar’s very own Snowy Johnson in collaboration with lighting designer Susie Olczak had the task of illuminating the Senate House and the adjacent Old Schools with the installation being handled by Hawthorn. Susie’s brief was to create a light experience, which the public could interact with whilst viewing the impressive Senate House. This was achieved by creating environment chases and linking them to a control panel which allowed passers by to engage in the spectacle and feel even more a part of the festival of light. Susie created a low energy interactive light installation using Pulsar equipment to illuminate the façade of Senate House. This interactive installation used complementary colours while challenging the audience to make choices about what colours are used to highlight an iconic building within the city. To capture Susie vision, Hawthorn installed the following Pulsar fixtures on the Senate House: 9 x ChromaFlood200’s with vertical letterbox (90×10 deg), 6 x ChromaBatten200’s (10×50 deg), 2 x Luxeos36 (10 deg), 2 x ChromaBeam100’s, 8 x ChromaFlood100R (8 deg) 4 x ChromaFlood200’s (8 deg) followed by 5 x ChromaPowerLine (10×50 deg) and 6 ChromaBatten200 (10×50 deg) on the façade of The Old Schools Building adjacent to Senate House. Yet again, the professionalism and enthusiasm from Hawthorn made life a breeze when it come down to the installation itself, we have worked with Hawthorn on many occasions and know what to expect with regard to their knowledge and expertise.